this is one of my neighbors garden areas, a bit of a hodge podge, but I’m fond of the cobalt blue flowers. I’m hoping to be able to do some planting this year?! This entry was posted on March 28, 2014 by Heather. It was filed under north bay and was tagged with cobalt blue, flowers, Heather Cote Photography, nature, neighbour, North Bay, pine trees, snow, water. Beautiful colors on the flowers. 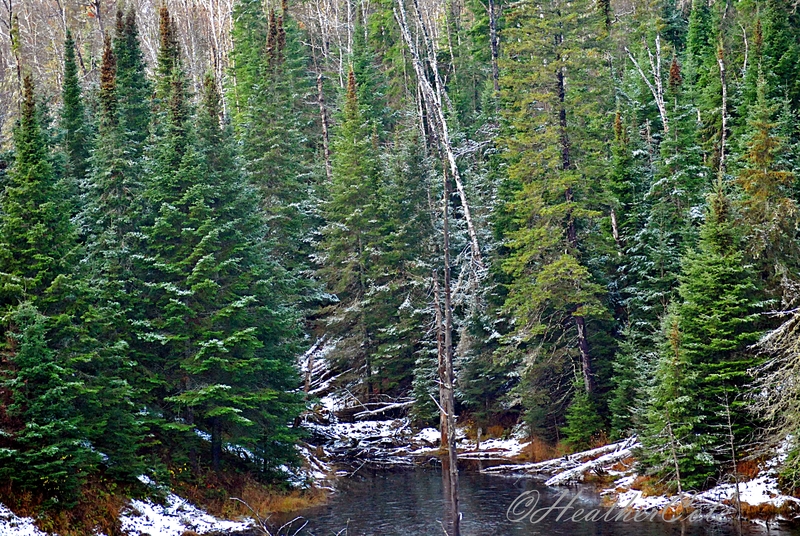 I love the pine trees by the stream. We are in Virginia and would love to plant some spring flowers. Mary, I live in northern Ontario…we still have 3 ft of snow and cold! 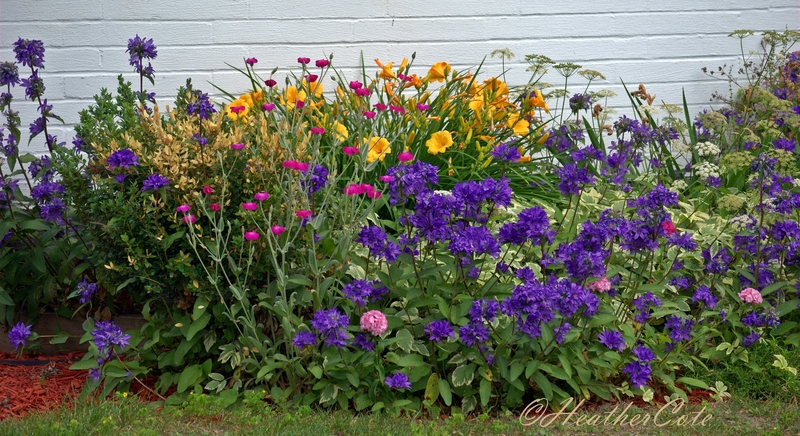 this is a photo from last summer…was feeling like a bit of summer as the warmer weather feels like a long time coming… 😉 I haven’t planted any at this house as it was being worked on but I’m hoping to plant flowers this year…we will see what happens. Happy planting when you do! Such a pretty profusion of flowers, Heather. I like the look. 🙂 It’s not easy taking pics from a moving vehicle, but you did well. Great photos – I love seeing the beautiful flowers!! these photos are from last summer…we still have lots of snow, but I was feeling like something pretty! lol…nope…snow banks!!! but it has been warmer the last few days, so the snow will begin to melt, I hope! Beautiful, Heather! Reminds me of living in Northern Idaho!! It’s starting to look like spring. I can’t imagine what snow on the ground looks like, let alone 3 feet of it. It is 81F, light breeze, mostly cloudy and humid here.